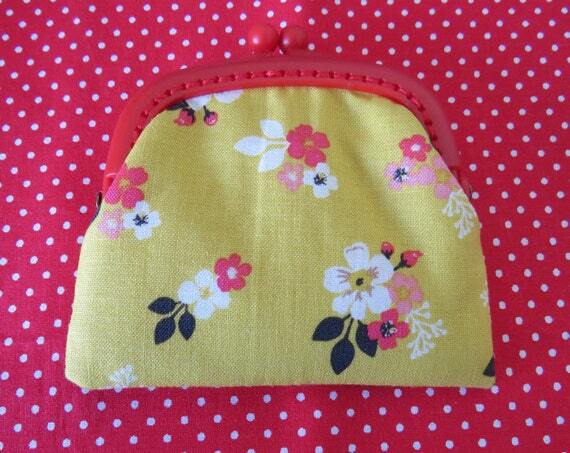 On opening the purse you will see it has been lined with red and white polka dot fabric. The purse opens with a bright red "jelly" kiss clasp frame. Purse measurements are: 10cm across the widest point by 7.5cm deep.